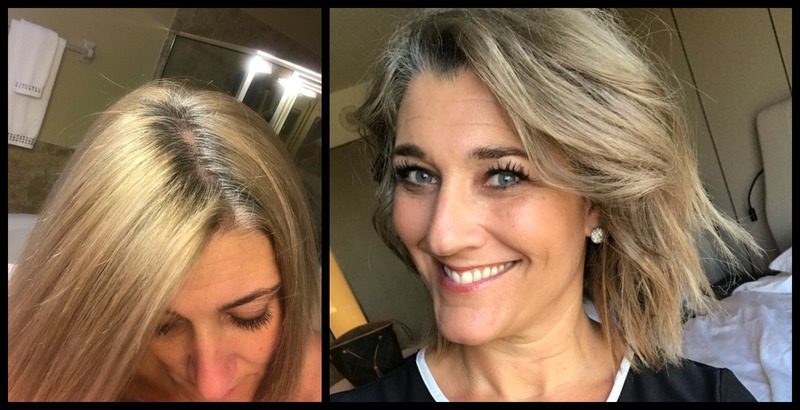 Tips and Tricks for Going Gray ~ Products and hair styles to help process. 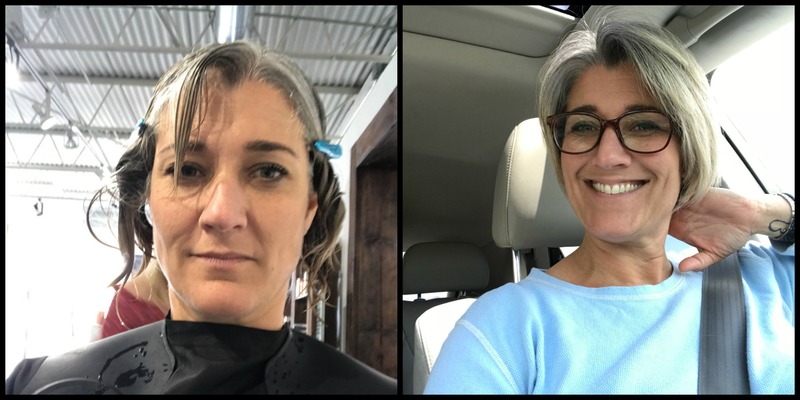 Last year for my 44th birthday, I decided to no longer color my hair and since have gone through the process of going gray. 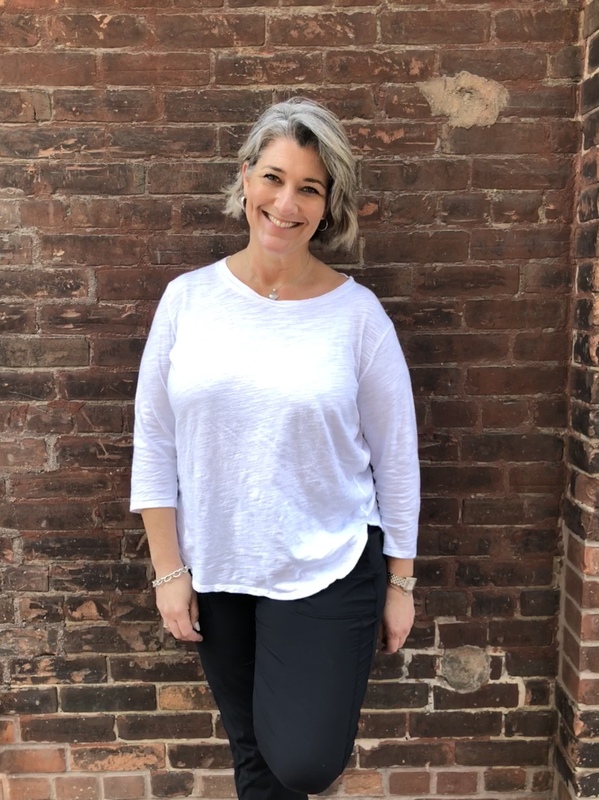 The key word here is “process.” I turned 45 at the end of July and just over a year later I am 100% hair color free and loving my gray hair. 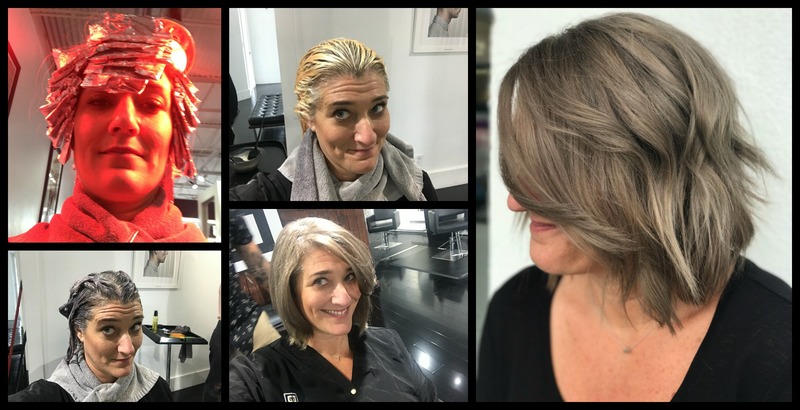 I have several friends on social media and in real life asking me questions about what I did during the journey to gray to help with the inevitable unattractive transition from very dark brown hair to blonde, and now gray. 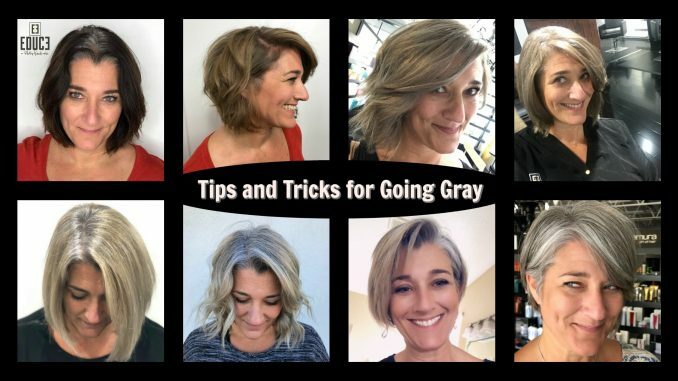 So I decided to put together these tips and tricks for going gray that helped me through the drastic change. First of all, be ready for some bad hair days. They are going to happen. For me, my hair was dark brown. 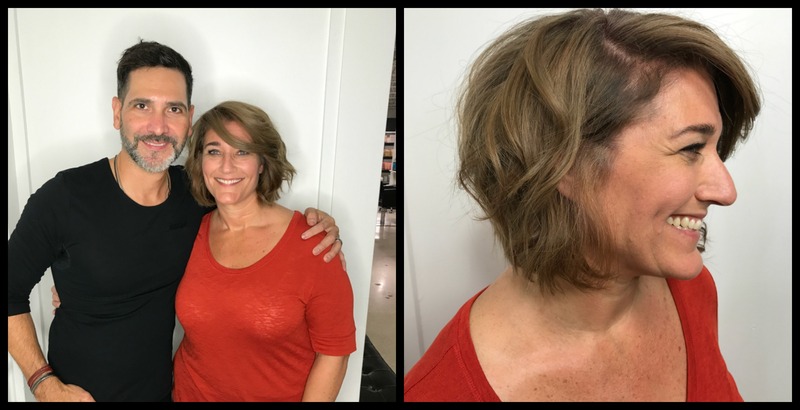 So to go through the process to be less of an eyesore, I went to my friend of over 25 years Phillip Rosado at Educe Salon in downtown Orlando. He and Megan Reid can take credit of getting me through the growing out process looking pretty good. So this is the first process. It took six hours. Phillip and Megan bleached my hair out and then added some color to help with drastic change. The roots were showing and I used some cover-up spray. I did this for months. I had a few different shades and brands, depending on where I was in the process. In the very beginning, I used Rita Hazan dark blonde. It worked great. The next time I went back, we went lighter. And it had more gray tones. This didn’t last long. My hair didn’t hold the color too great and I was looking more blonde. I then started to use a lighter colored cover up spray as needed for my roots and L’Oreal Paris Root Cover Up in light and medium blonde worked great. After four months the gray was really coming in, and the root spray was too expensive and also, too hard to cover it all, so I began to use purple shampoo. 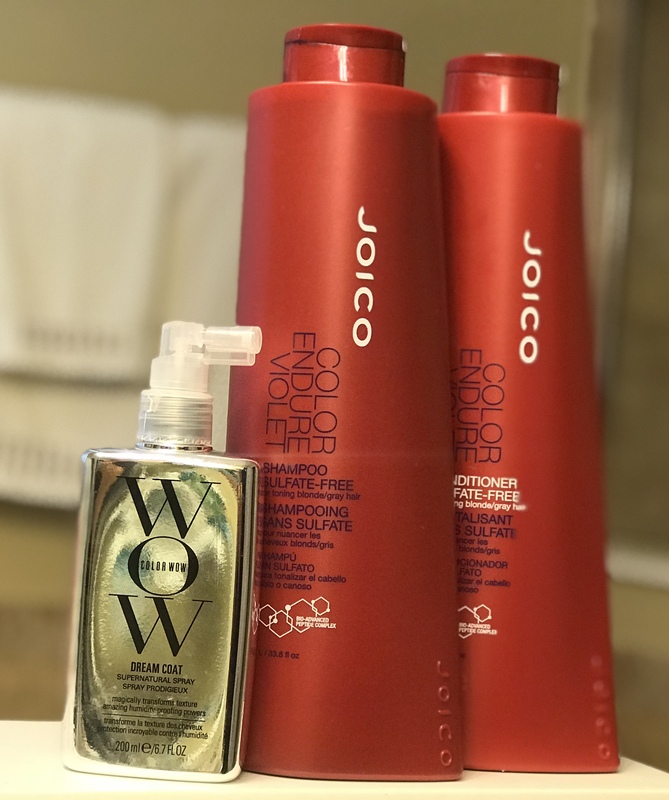 My favorite brand over the course of going gray was Joico Color Balance Purple Shampoo and Conditioner. 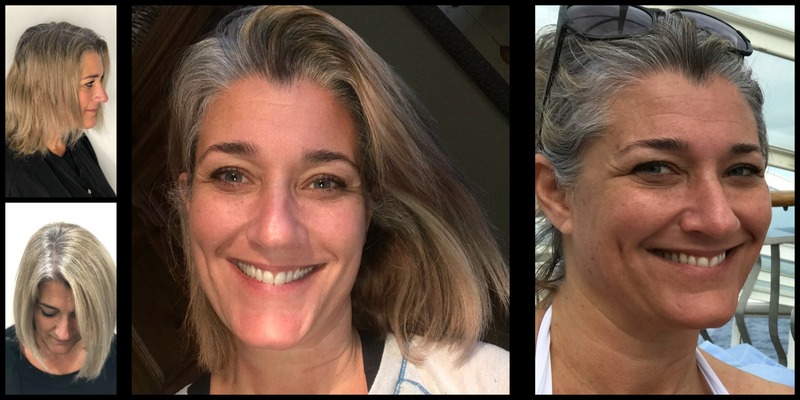 By six months in, it’s hard to cover up or hide the incoming gray. By now I embraced it, but I did start using a colorwash to help pull more silver than tone. I love Celeb Luxury Viral Colorwash. I still use it occasionally. The longer you leave it the more vibrant the color is. Yes, it was still a process, and yes, I had plenty of bad hair days, but I was also excited to see the gray blending. This was when I started to cut my hair to get rid of the dead ends I created with so many treatments, but also to let more of the gray show through. 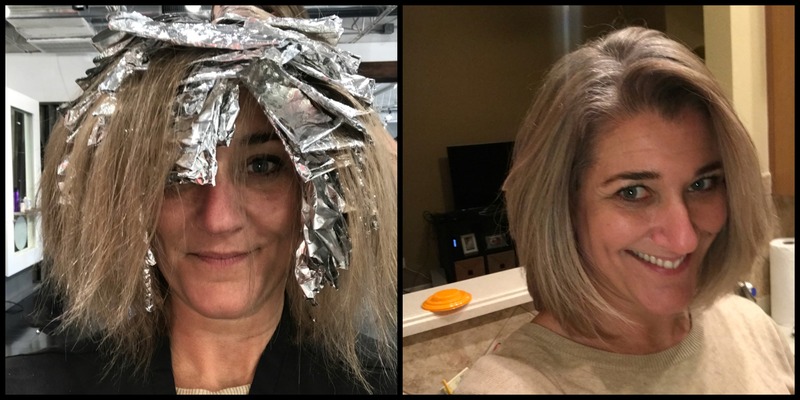 By 9 months the Celeb Luxury Viral Colorwash was working great, as long as I alternated it with the Joico Color Balance Purple Shampoo and Conditioner. I also didn’t wash it every day if I could help to do so. At the 10 month point was really ready to get any hint of the yellow to be gone, so I did a much-needed cut. The removal of the color treated ends really made a difference. To help with the shine I always used It’s a 10 Haircare Miracle Leave-In Plus Keratin before drying my hair. As you can see, the process has been long, yet doable without too much pain. Here I am now, 14 months since I decided to go gray. 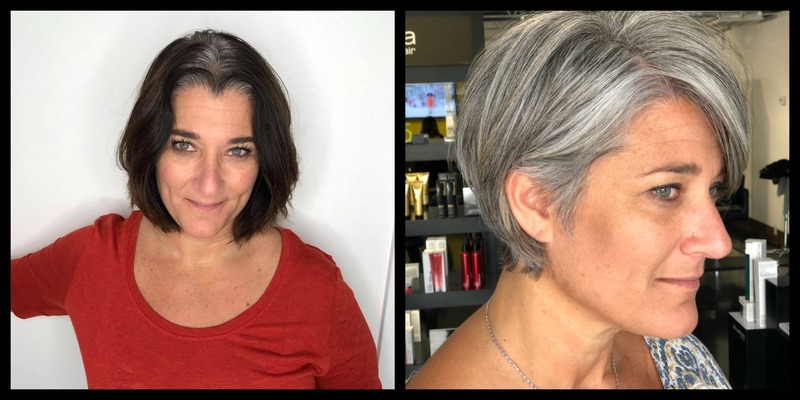 I am very happy with the results and I am grateful to the team at Educe Salon for taking me on. 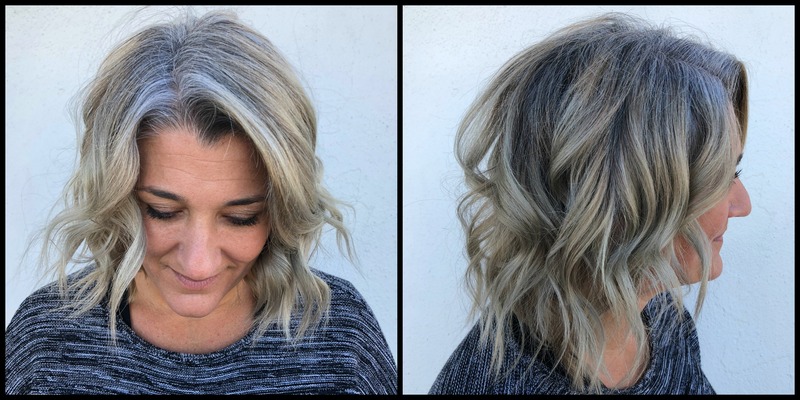 Megan has become quite the go-to for gray transitions, so if you are in the area, check her out. Tell her you saw the process on my blog. She worked hard to get me here. Now that the process is finally over, the one product that I started to use that I love and will now always be with is COLOR WOW Dream Coat Supernatural Spray. 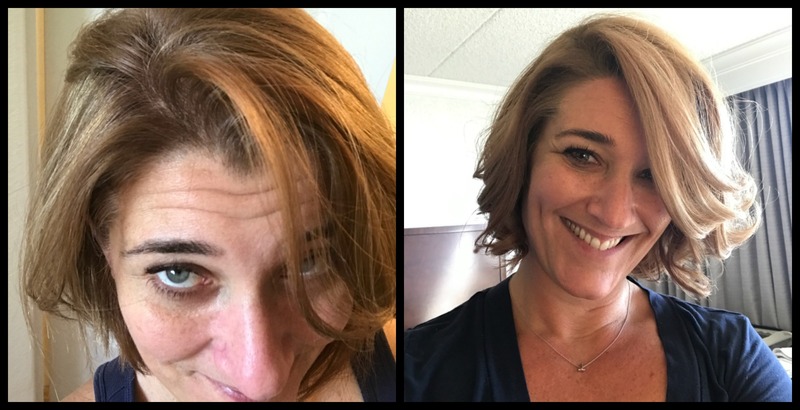 This is a miracle spray Slays Humidity and Prevents Frizz – I mean look at the difference in the photos above. This. stuff is amazing. It was 100% humidity for both these photos, but I used the COLOR WOW in the picture on the right. Also, switched to the Joico Color Endure Shampoo & Conditioner. It’s sulfate free and still tones, but seems less harsh to me. With that and the COLOR WOW spray, I have truly never been happier with my hair. For more information on Megan Reid or Phillip Rosado, visit Educe Salon’s website and set up a consultation today. Hey Buddy!, I found this information for you: "Tips and Tricks for Going Gray". 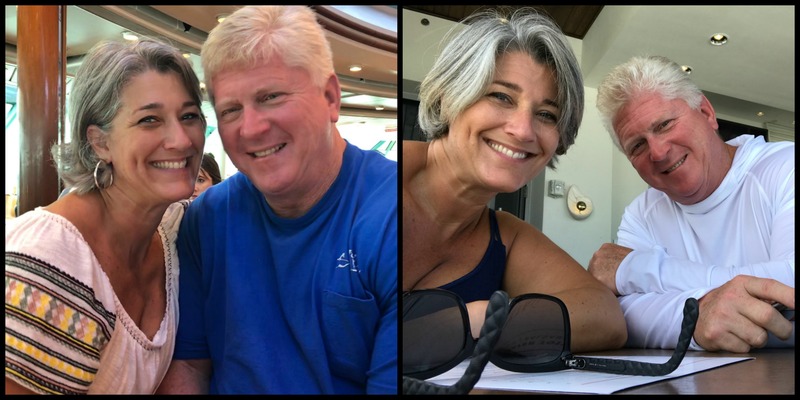 Here is the website link: https://www.trippinwithtara.com/tips-and-tricks-for-going-gray/. Thank you.